Welcome to the Thoughts on Java Resources section, a curated list of books and tools I strongly recommend for improving your software development skills and building your own blog. I’m using or I’ve used every recommended resource on this page. Disclaimer: Some of the following links are affiliate links and I will earn a commission if you make a purchase. This commission comes at no additional cost to you. 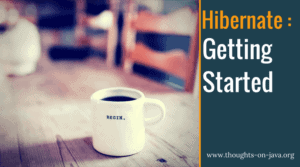 Hibernate Tips – More than 70 solutions to common Hibernate problems: A cookbook to help you implement your persistence layer with ease. SQL Performance Explained: Everything developers need to know about SQL performance: A must have when you’re working with SQL databases. Java Persistence with Hibernate: One of the standard resources about Hibernate. ConvertKit: Your email list is probably your most important resources as a blogger. It allows you to stay in touch with your audience, to share your latest blog post and to promote your next conference talk or workshop. ConvertKit is my preferred email marketing provider. It’s easy to use and their powerful automation rules allow me to create email sequences and more. Audix ADX 10: That’s the lavalier microphone I use in my videos. You can put it on your shirt and it provides good audio without picking up too much noise from your surroundings. Audix APS-911: Phantom power supply for the Audix ADX 10. Focusrite Scarlett Solo (2nd Gen): A small USB audio interface with a strong preamp to connect the Audix ADX 10 to my PC. Logitech HD Pro Webcam C920: A good and cheap webcam which I use to record myself in front of a greenscreen. Unfortunately, Camtasia 8 doesn’t support the full HD resolution with this camera. It works for now but I want to replace in a few months. DynaSun 15040 W004: My green screen background. DynaSun 11050 FS901: A stand for my green screen. 2 Softbox Lights: A basic set of lights with softboxes. Camtasia Studio 8: A great tool to for screen capturing and video editing. I record and edit all of my videos with it. You should also have a look at the new Camtasia Studio 9. I’m still using version 8 because I didn’t saw any reason to buy the update.